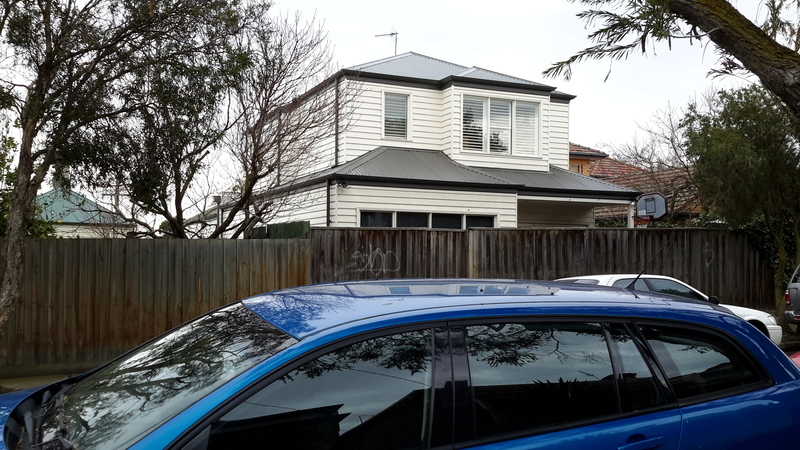 William Baker Tyzack spent the last years of his life in and around the suburb of Hawthorn. To reach the Hawthorn suburbs I caught a train from the centre of Melbourne to Glenferrie station. 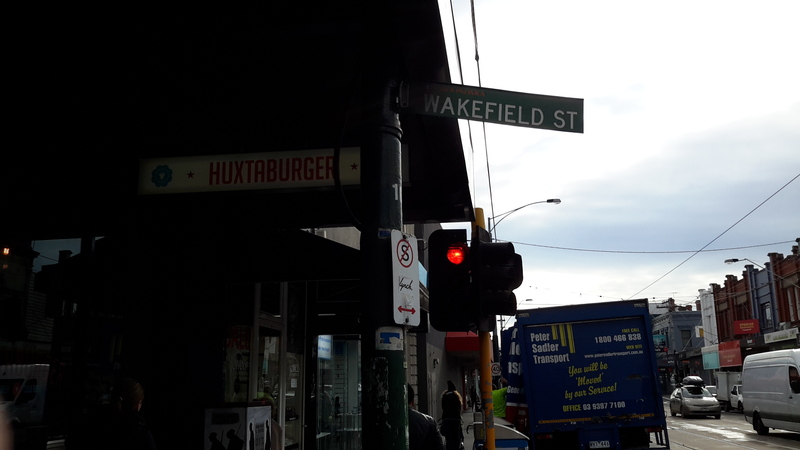 It was not possible for me to walk along the streets in the order in which William once lived in them so, for convenience, once I was off the train, I first walked along the remnants of Wakefield Street. 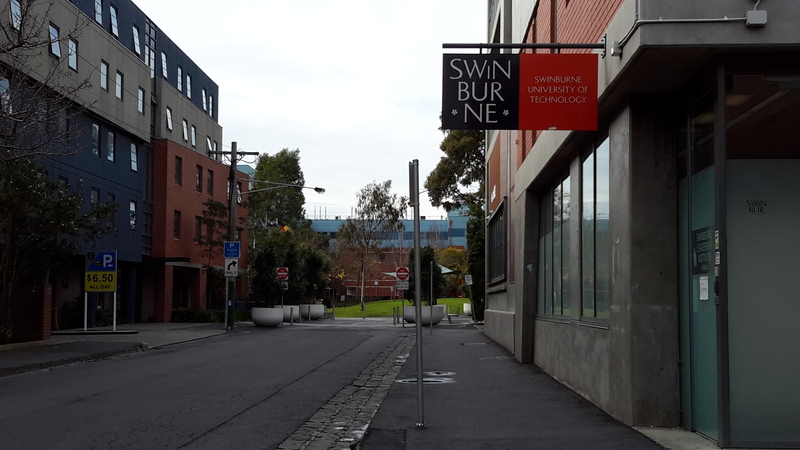 Most of the street is now edged with shops, car parks and many storied residential blocks and at the end, the street is now absorbed into the educational facility, Swinburne Institute. I could recognise the value of this street to William. 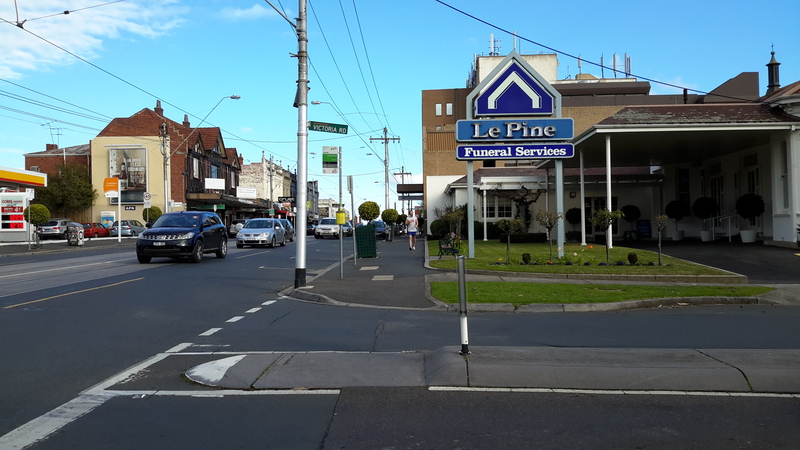 It is very close to the railway station and would have allowed William easy access to other suburbs and the centre of Melbourne. 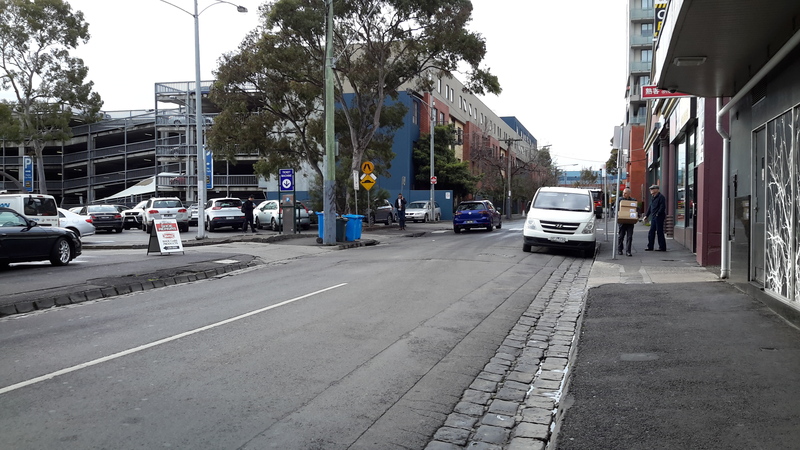 From Wakefield Street I walked towards Haines Street, found a marvellous cafe and had a healthy lunch, then continued on. 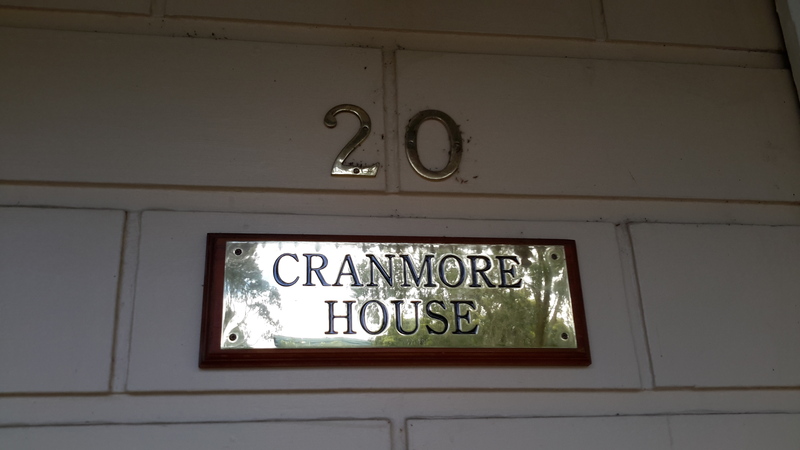 Haines Street, originally named Cranmore Street, contains a house named Cranmore House but this is NOT the one in which William lived. His house was named ‘Oaklands’ and no longer stands. The location of William’s house was in the vicinity of the following houses. 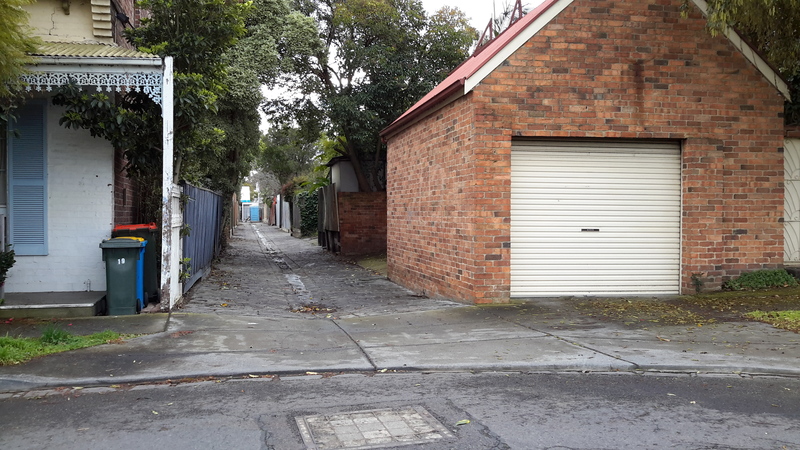 It is possible to walk the back streets behind these properties; where Moir Street bends into Edward St, near Percy St. In doing so, I gained a general understanding of the size of William’s block. Quite possibly our ancestor walked on the narrow lane pictured below with its original 19th century cobble stones. 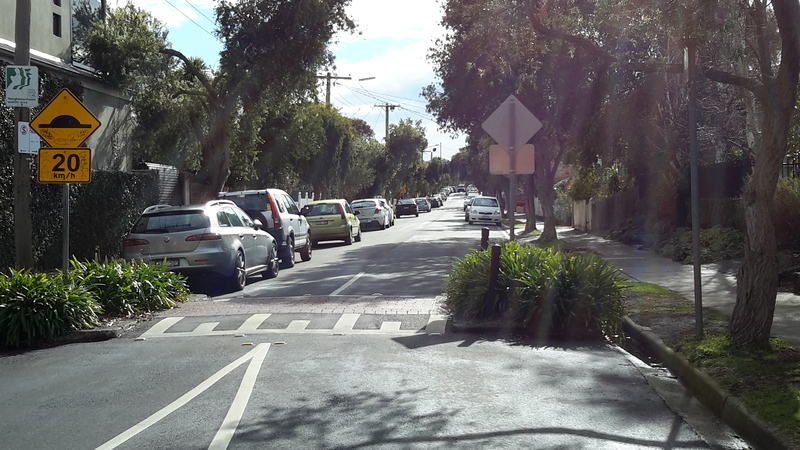 Percy Street forms a T-junction with Haines St. While William never lived in Percy street, his two daughters lived at 4 Percy St after their father died. The youngest, Maria Baker Tyzack, purchased the land in 1891 and built a basic house into which she and her sister Mary Jane Tyzack moved. By 1913 both sisters had left this property. 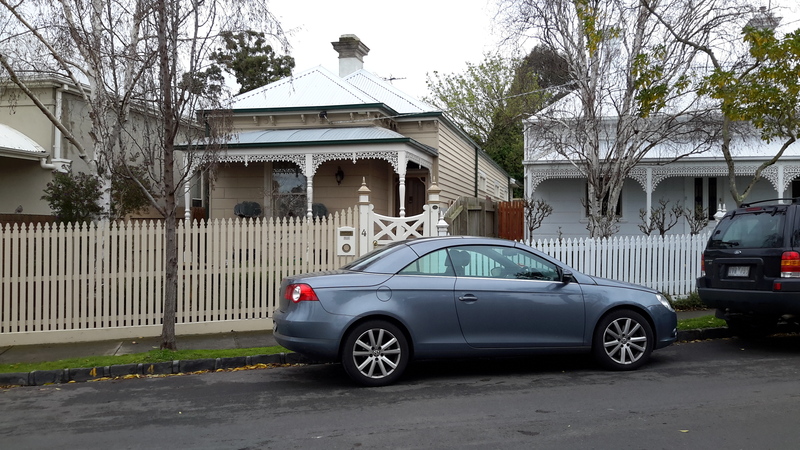 The Percy Street house still stands, however it is clear that extensions and renovations have occurred at the rear of the house. The wooden boards used in the front, and the style of the house are typical of cheaper almost mass produced houses that were built during the late 1880-1890s. The current price estimate is between $1,100,000 and $1,375,000. 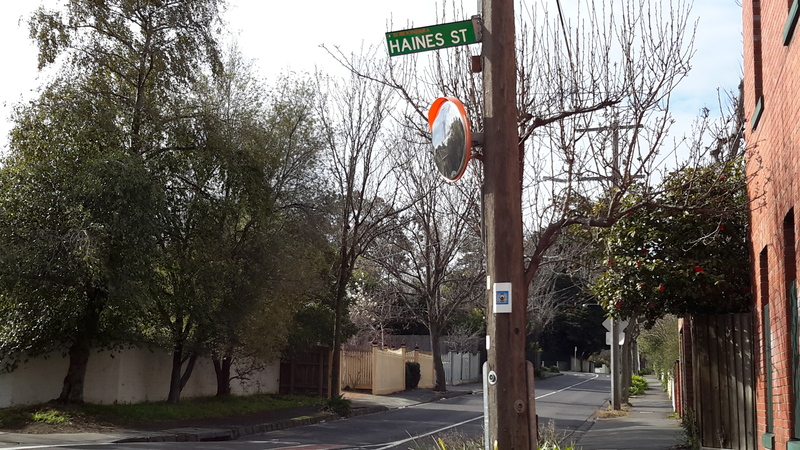 Bruce has not been able to find a street number for the location of William’s house in Whitehorse Road (which flows on from Cotham Road and is also named Maroondah Highway at the other end from one point). I wandered along this busy thoroughfare for some distance but there is no way to get a feeling of where along this road he might have lived. A few exceptionally large houses are occasionally dotted along between shops, used car yards, parks and light industry. From Whitehorse Road I caught a tram down Burke Road until I reached the junction with Victoria Road. Using original street numbers from the Sands and McDougall directory isn’t useful with today’s street numbering. So I guessed the location of William’s house might have been around the location pictured below. 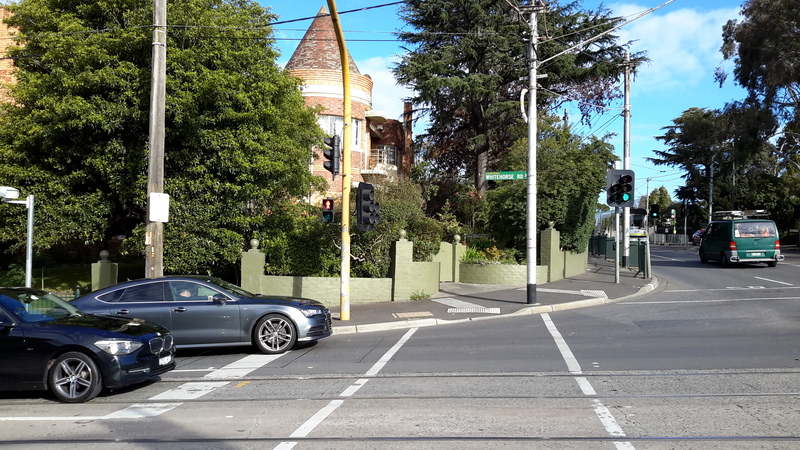 I enjoyed wandering along Victoria Road admiring the different vintages of Melbourne architecture. 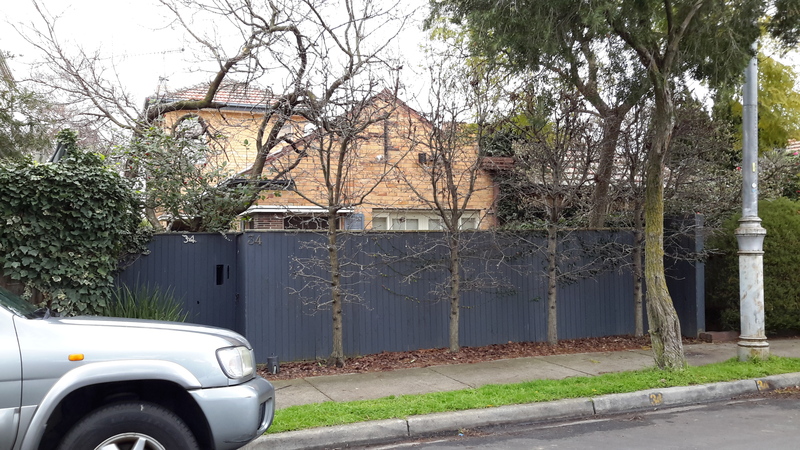 At one stage I alarmed a home owner who was pruning her roses when I called out a question over the fence – thankfully once she realised I wasn’t about to do her an injury, she was happy to chat. 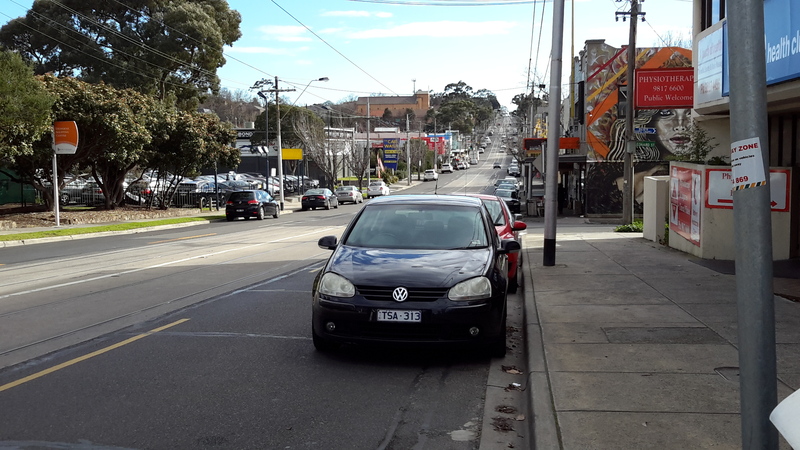 She explained that in the 1870s this area was primarily covered by market gardens planted to service Melbourne. Generally houses would have been small and very basic, and none from that decade still exist. The nearby railway station of Auburn and others further down the line, were the necessary transport links for the fruit and vegetables. My trip back to Melbourne from the Auburn train station gave me reflection time. My feet hurt but my head was full of ideas and I felt like I had spent an afternoon being pleasantly close to my great great grandfather.